Does the type of window you choose really matter when you are trying to maximize the energy-efficiency of your home? That's a good question! 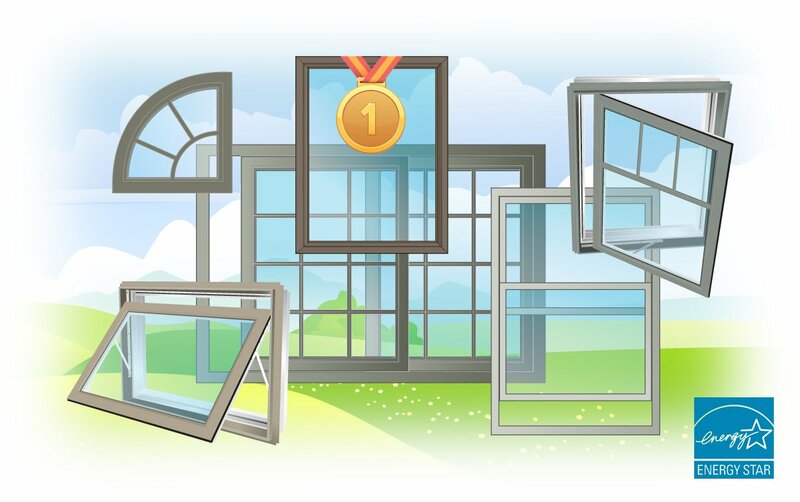 Improving energy-efficiency in windows is a primary goal for most window manufactures, and there are many technologies that make windows more efficient. However, if we were to ignore the technical side of windows and rate them purely by window type, then we would be considering only the traditional properties offered by the nature of the window. When it comes to maximizing the fight against the weather, different window types will show differing energy-efficiency performance scores. However, you probably would not notice it on your heating bill, or the level comfort in your home. The differences from one window type to another are very small. Historically - vinyl window energy-efficiency by window type has been as follows (most-efficient to least efficient). Window manufacturers have become very good at levelling the window type playing field to make all window types equal. And although many believe that certain window types offer better energy-efficiency than others, it really depends on the brand you are looking at - keep in mind, picture windows are certain to be the top performer every time, by their nature. Below is a table comparing 3 local Ottawa window installers (they have been listed incognito to avoid bias) that sell 3 different brands of windows. Using the available specs at NRC Canada Windows, each company’s standard line of windows (vinyl, double-glazed, Argon-filled) were compared. Window types are listed in order of their best energy-efficiency. As you can see each company shows a different order for best ER performing window type - picture windows being the exception. 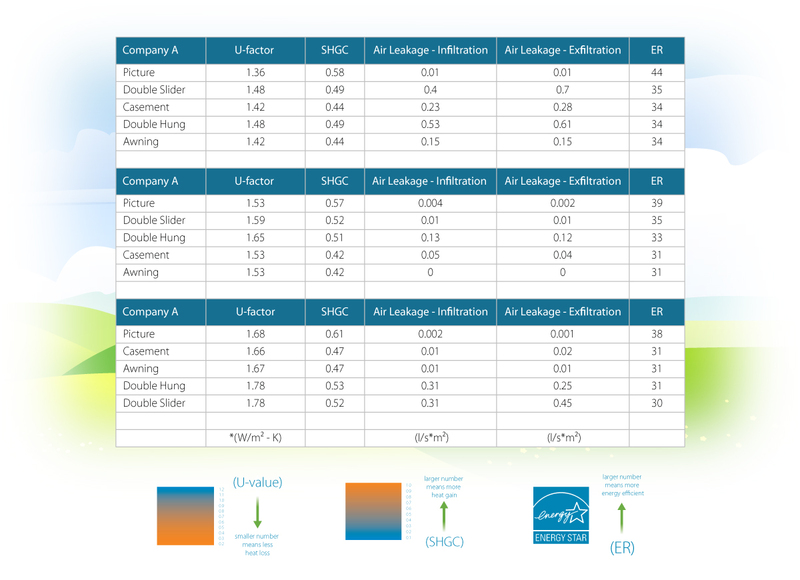 Since ER energy-efficiency is calculated with a window’s heat gain, heat loss and insulating factors, it is possible to rebalance a window technically through glazing, coatings and gas fills in order to achieve a closer overall energy-rating to match different window types. For example, to accommodate the loss of efficiency in a slider and hung window, manufacturers offer optional upgrades of the inert gasses between the panes (ie. from Argon to Krypton). Want more information on which windows are best for your home and your energy-efficiency concerns? Contact our window consultants to schedule a free home window evaluation and consultation. Vinyl window colour, there is a difference!